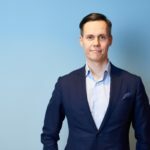 Core banking system changes rarely make the headlines, but they will be the biggest topic in the Finnish banking sector in 2019. What is a core banking system and why do they cost so much? The essential parts are usually covered by systems like customer data, accounts, payments and loans. These are all very basic concepts until you start going into the details. For example, the Finnish government guaranteed student loan is a unique product found only in Finland. And have you heard about Islamic banking with different rules for example handling interest rates? The country specific products and standards are getting fewer and being harmonized. Still traditionally it has been easier to use country specific core banking systems. In Finland, IT providers Samlink and Crosskey have been traditionally the two major companies. Handelsbanken opened the game by choosing Evry as their core banking vendor. Evry was also a potential buyer for core banking provider Samlink, but that negotiation ended last year. Handelsbanken is also one owner in Samlink, which makes it a second bank to break up from Samlink, after Aktia implemented Temenos banking platform in 2017. The biggest bank in the Nordics, Nordea announced choosing Temenos as well in 2015 with a total budget around 1 billion euros. The project is officially going live in all Nordics during 2020-2021. Crosskey and S-Pankki have reported their co-operation to last at least until the end of 2020 . For an individual, the IT budgets for core banking systems seem insane – surely you could code several banking systems from scratch with Nordea’s 1b€. The challenge comes from regulation and standards: banks have been facing increasing amount of regulatory requirements recently, such as GDPR and PSD2. Having your own IT department up to date always implementing these changes is not an easy task, especially when companies at same time implement all the necessary tools for digitalization. Core banking functionality is often niche knowledge which you don’t learn at school. Also, with homemade systems many banks have painted them into a corner by creating increasing amount of product varieties (different kinds of deposits) and non-standard internal processes. The challenge comes now how to adapt to a third-party IT product which is not as flexible. Even Nordea said that they will do minimum amount of changes to the ready Temenos system and instead adapt their processes. Even after renewing the core system not everything gets suddenly easy: Aktia’s stock price is at the same level as at the start of the implementation project in 2014. In UK, one of the hyped challenger banks Metro Bank announced putting all their IT infra to cloud and utilizing SaaS products, where bank pays a monthly fee based on utilization instead of heavy project cost. Metro Bank has also stumbled in the stock market and is facing a tough challenge: they have low margins in lending when interest rates are low, which is not made easier by their fixed cost structure. Overall, core banking system scene seems very interesting this year. In our next blog we’re handling which things are important when renewing the system. Stay tuned!